Myrthil set our goals to learn how to create a new project, navigate the binder, insert scenes, use the corkboard/outline setting, navigate inspector and use full screen and split screen. Those are the basics. It was the last goal, split screen, that made me think of Hemingway. In split screen, there are two pages open, which allows you to see what you have written and then rewrite or make changes in a new document. 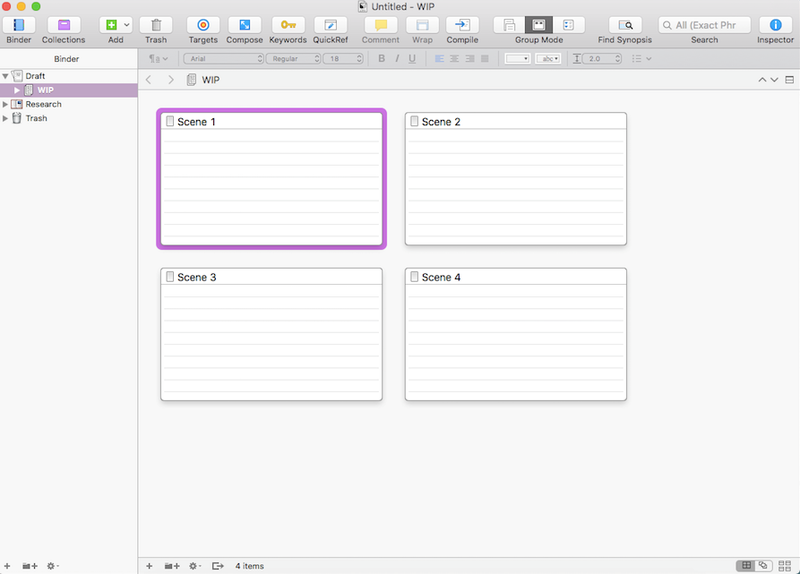 Scrivener has many other features to help with organization such as the corkboard which allows users to use index cards to aid in outlining. To download a free trial, go to www.literatureandlatte.com. 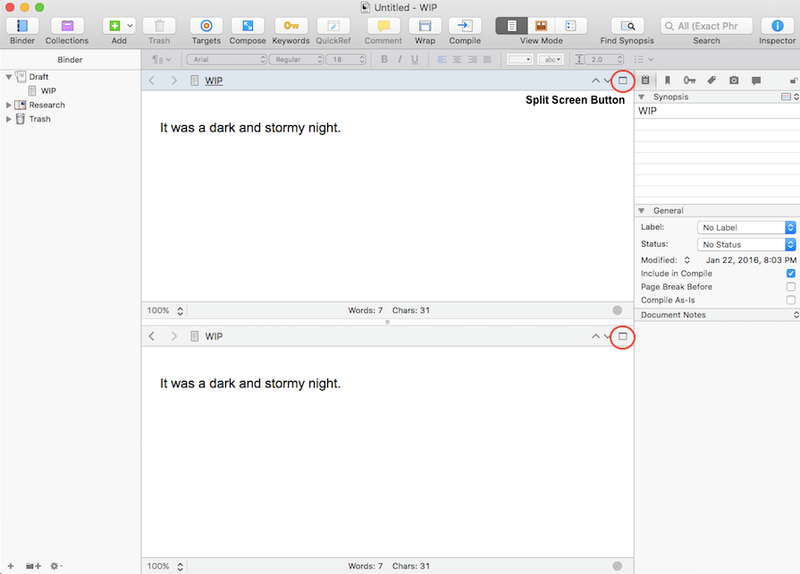 Scrivener is available for Mac and Windows. K. Marcus is a children’s author currently working on a picture book about a wet dog. Tweet her at @kmarcuswrites.